This was the 2016 summer edition of the Retro Video Game Night and there's no better way to spend a summer's evening than in a dimly lit museum drinking beer and playing old video games! We got out a few classic "summer" games including Track & Field 2 on the MSX and California Games on the Sega Master System. Ian pulled out all the stops with his doubles tournament on Mario Tennis and one lucky raffle winner walked away with a BBC Master. Mario Tennis Doubles Champions are David and Andy! Simon Butler and co are making there way to Cambridge in a couple of weeks for a special one off event where they'll be talking about their life and times at Ocean Software! There will be a chance to ask questions and to get things signed and we'll also have a lot of their original titles out to play on the original systems. For more details and tickets checkout the link below. 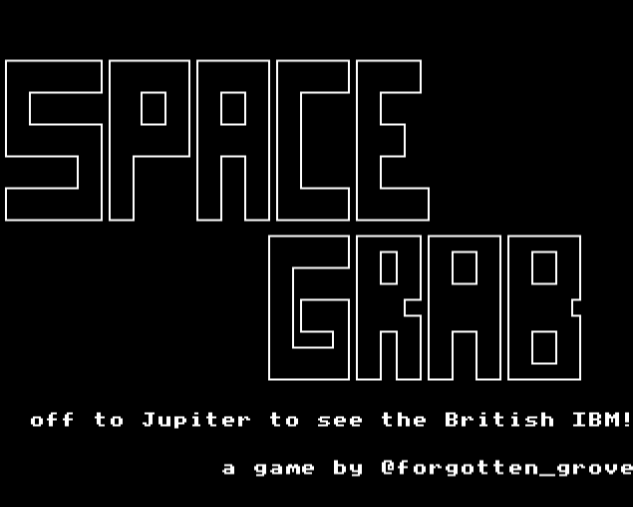 We're trying something at bit different at the Centre for Computing History next month. 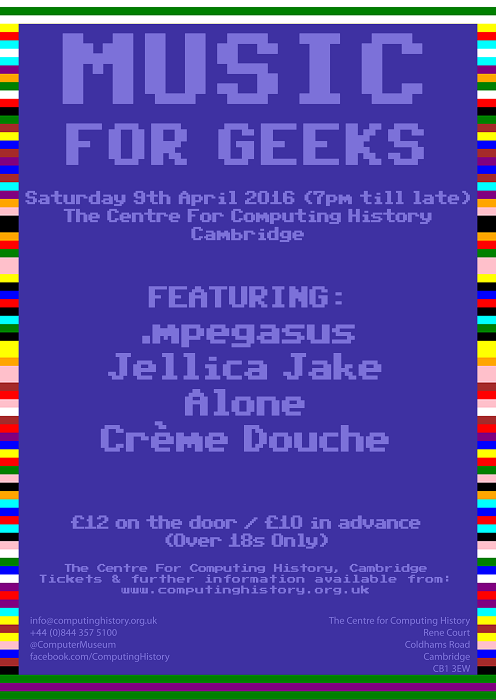 Music For Geeks is a brand spanking new event featuring live electronic music inspired by both old and new technologies. We’ve got four very talented musicians playing a range of electronic music from chiptunes performed on original retro video game hardware to ambient electronica played using the very latest synths, laptops and tablets. For more details and full line-up checkout the ticket link below. First Retro Video Game Night of 2016! Unfortunately this was the first ever night that I was unable to attend but from all accounts it was a great start to the year. We'd decided the theme this particular evening around obscure fighting games and so Ian chose Karate Champ his tournament , which was won by Mr Jack.